Ditto on what Theresa said. Very striking combination of colors and I love the design. Thank you so much! I love your feedback! 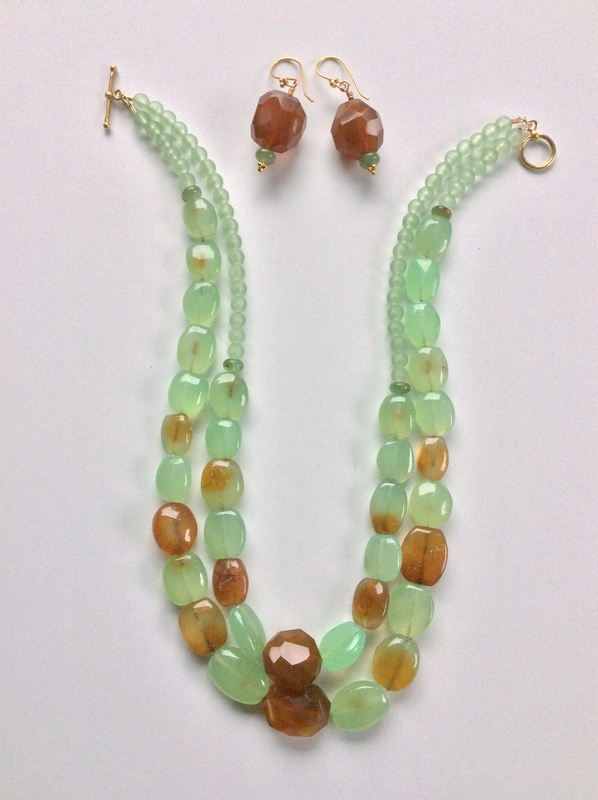 Chrysoprase. What a word? The name begs to be explored and understood. Its sound is so luring, so sensual. Almost enough to entice one out of Catholicism and into some sort of metaphysical mumbo-jumbo. After all, chrysoprase “will empower you to understand more deeply, the concepts around Divine Truth, as you center yourself within your heart. It promotes feelings of love and of forgiveness, and releases ego based negativity associated with co-dependent relationships”. All of that for only $99.00! Wow!! This is surely much more attractive than hell and damnation. Ha! 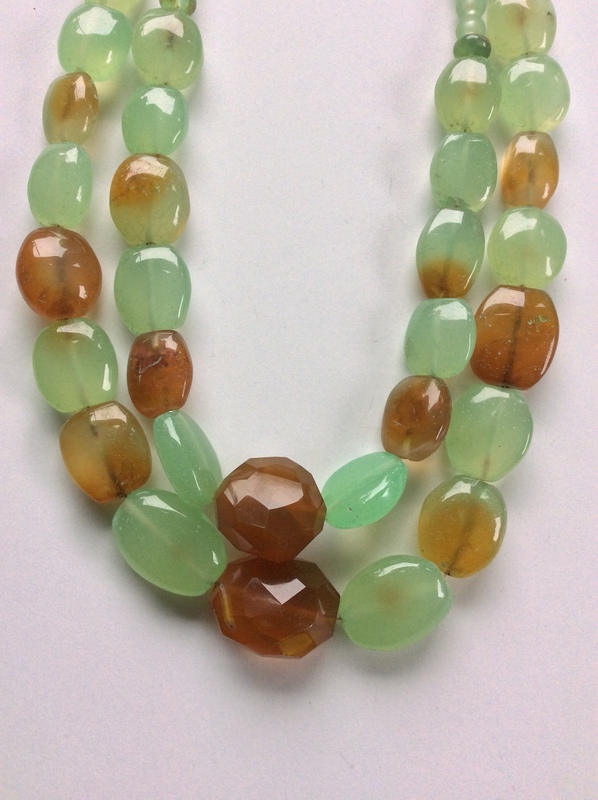 “The meaning of Chrysoprase comes from two words, chrys being the Greek for ‘gold or yellow’ and prase from the Greek for ‘leek’, referring to the green coloring of it. You’re at week 38; 52 is not far away! As always, I enjoy your narratives. The English major keeps coming through. Great writing for an Econ grad!!! Loved your analysis of the roots of the word: leek is a better description of the color than minty or apple. I love how the necklace is flawed and the earrings are adorable! The stone looks so polished and shiny- makes you want to touch it! Another interesting beauty. I appreciate your sense of style and the research that you do before and during the creation of your pieces.